The real estate business is fast paced, competitive and technologically driven – it takes effort and commitment to stay ahead of the game – and your competitions. Essentially, your website is the online doorway into your business, so reputation and image is everything. Like you wouldn’t leave the window of your agency dirty, you shouldn’t leave your website unloved. As a general rule, it’s a good idea to continually refine and adjust your website. Pay ongoing attention to static and blog content, the aesthetics and functionality of your website – keeping a close eye on what works and what doesn’t. Google analytics will also help in determining where you need to make improvements. But of course, there’s more to it than that. Here are some tips to help you create a cracking website, so that you can start turning more clicks into customers. Before you launch into creating a website or redeveloping your existing one – consider your brand. Is your logo representative of who you are as an agency? Does your slogan and marketing messages convey your attributes and why you’re the ‘pick of the bunch’? Create a positive first impression with those who land on your site and you’ll have a better chance at keeping them there. Connecting with those who will be visiting your site, and potentially doing business with you, is a good idea – gain feedback from existing customers and business contacts who you trust will give you an honest opinion. Meet with them face-to-face, conduct a survey, organise user testing – whatever it takes. Find out what they think of your current website and if there are any improvements they would suggest – then take it all on board. When a new visitor hits your website, it doesn’t take them long to decide whether to stay there or move on. It’s vital to communicate your message in a quick, easy-to-read manner, so users can effortlessly find what they’re looking for, without having to go hunting for it. It’s important to remember that visitors to your site won’t read the content like a newspaper. Website copy is skim read – so it’s important that your content is well structured and concise. Clearly labelled buttons, page and paragraph headings, short and informative sentences will all help to get your message across sooner, and hopefully secure you more clicks too. It’s crucial to ensure your website is fully responsive, so that it can adapt to whatever device is being used. If your website is viewed via tablet and the user experience is clunky, the likelihood is, you’ll lose their interest fairly quickly. Make your website experience more enjoyable across all platforms and you’ll open your agency up to a new audience. You may gain customers through advertising or word of mouth, but search engine optimisation (SEO) is a whole new approach to generating traffic for your website. Improving your organic (unpaid) search engine ranking, is a great way to stay visible to online browsers. It’s important to remember that your page will need to rank on the first page for your key search terms, to have any large impact to your website traffic. Users typically don’t bother clicking onto the second page of results. 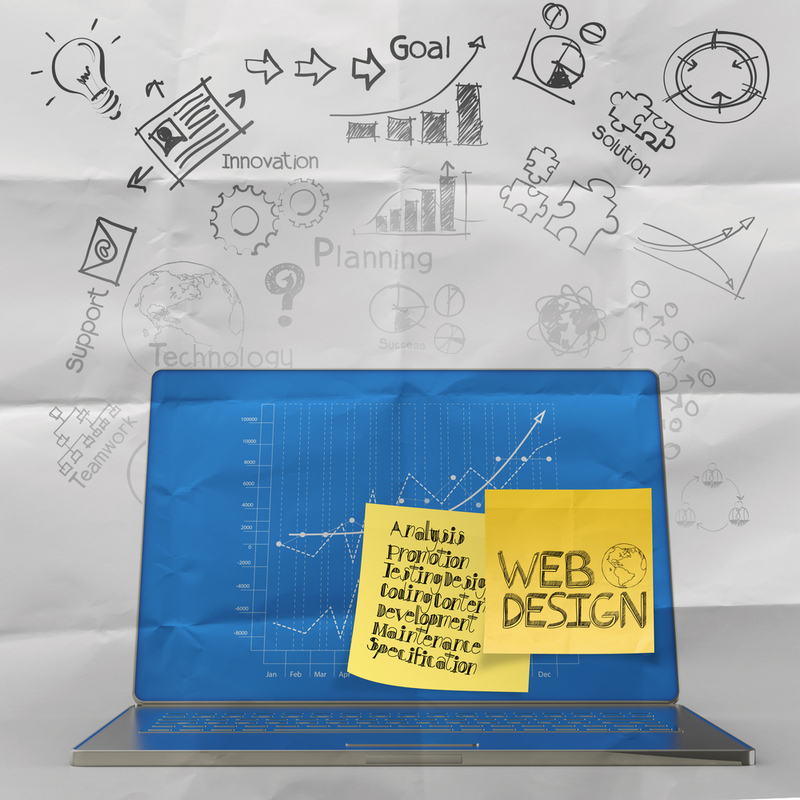 There are many factors to consider when creating or redesigning your agency’s website. Put them into practice to ensure your website works hard on your behalf. We’re constantly writing about ways you can improve your agency marketing. If you’re interested in reading some of our other related blog posts, have a read of these: ‘Online conversations means good news for the little guys’, ‘Email marketing tips for real estate agencies’ or ‘How to turn real estate prospects into clients’.